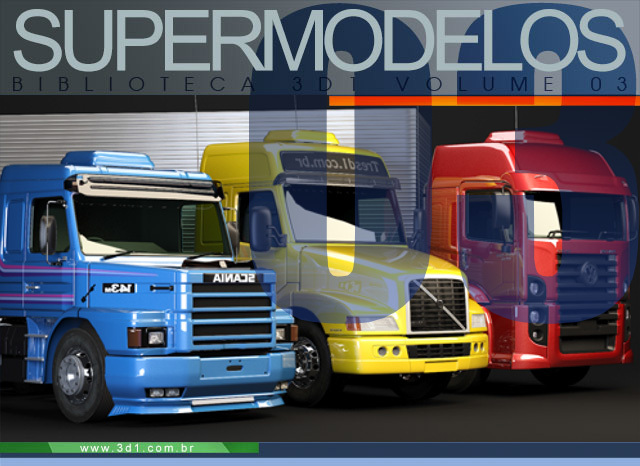 DVD with 20 unique 3D models of vehicles, 15 trucks and 5 trailers that allow more than 70 different compositions, all based on heavy goods vehicles on the streets of Brazil. Also contains MrProxy version of each object and renders scene study used in the example. Each object has been modeled and textured in detail with high quality Mental Ray and V-Ray. The models are compatible with 3ds Max and 3ds Max Design 2010 or higher. Are the most cheap car DVD in the world!